It was in a curious little garden in the hotel courtyard, an oasis of lush green gardens and sprinklers in an otherwise grimy and dusty town. 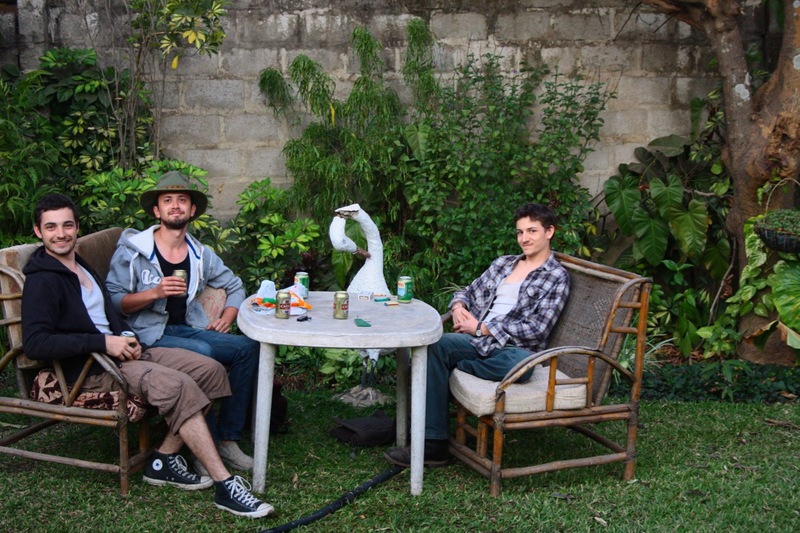 A fibreglass swan with a grisly broken neck joined us in the photo, simultaneously hilarious and disturbing. With open cans of Mosi lager, we reflected on a rattling near-death experience on the highway earlier that day, when a speeding police car swerved into our lane in a frenzy of sirens, inches away from a head-on smash. 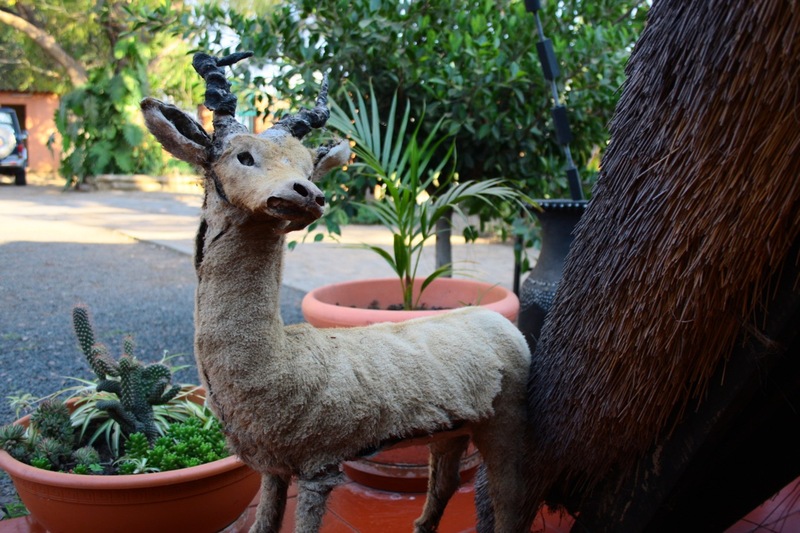 Before we left the next morning, we had to admire three taxidermied antelope which were on display in the garden. 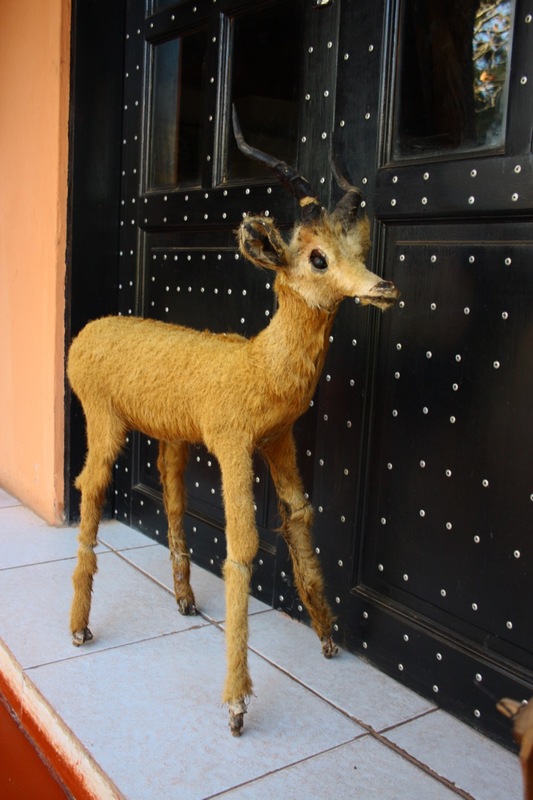 The attempts at preserving African wildlife produced something grotesque and frightening. They were skinny and emaciated; their bodies criss-crossed with ripping stitches; their feet reduced to bony pegs; their eyes widened in horror as if they’d just seen a ghost; their faces shrunken with snarling teeth and empty black eye sockets. Some seemed to be caught in a soulless, nightmarish world between life and death, others looked like they were looking for human blood to regenerate their mummified bodies. 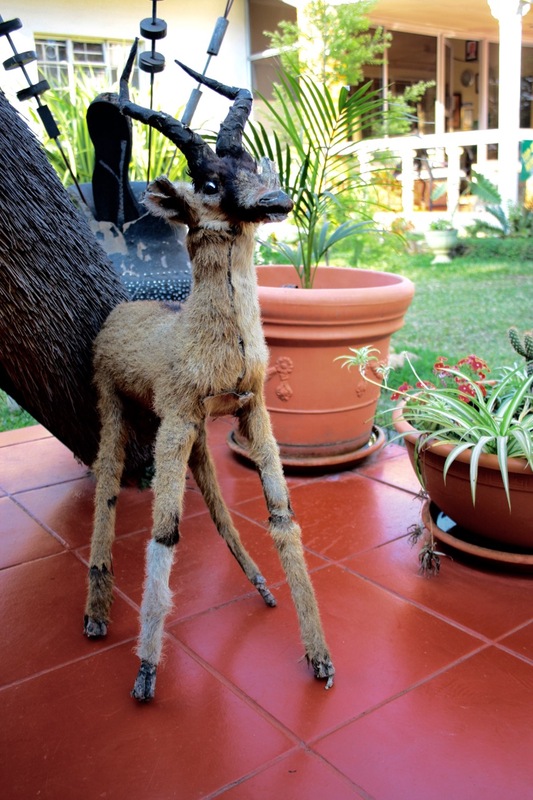 This ‘zombie antelope’ look was outrageous and we laughed until our lungs hurt and tears rolled down our faces.